Nature, especially at sacred sites, can bring us to a wider awareness of who we are…. Our journeys help reconnect you with nature, and to your essence, expanding and deepening your sense of self. You may wonder “What is earth spirituality?” Well, have you a yearning to reconnect with Nature? Are you keen to deepen your awareness of the Sacred? 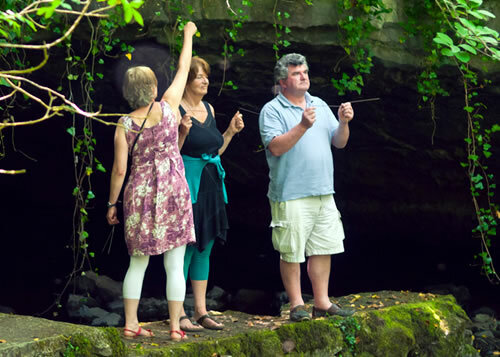 I invite you to journey with me – I have many years of experience leading tours and workshops. I have discovered ways of working with earth energies that help you experience peace and wholeness. My books on earth spirituality refer to well-known and hidden sacred places, offering rare, in-depth knowledge of ley lines, & earth energies, helping your spiritual awakening. Sign up for my newsletter and receive your free Earthwise gift! Discuss whatever interests you e.g. earth wisdom, sacred geometry, folklore or the Celtic Tree calendar..
A well-established and respected author, spiritual dowser and guide Jackie was the original and regular external guide to Rosslyn Chapel in Scotland. 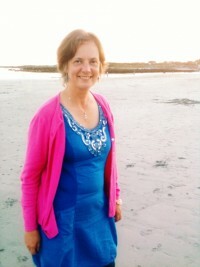 Based in Ireland since 2009 her insightful tours and workshops not only educate: they nurture your deeper sense of self. 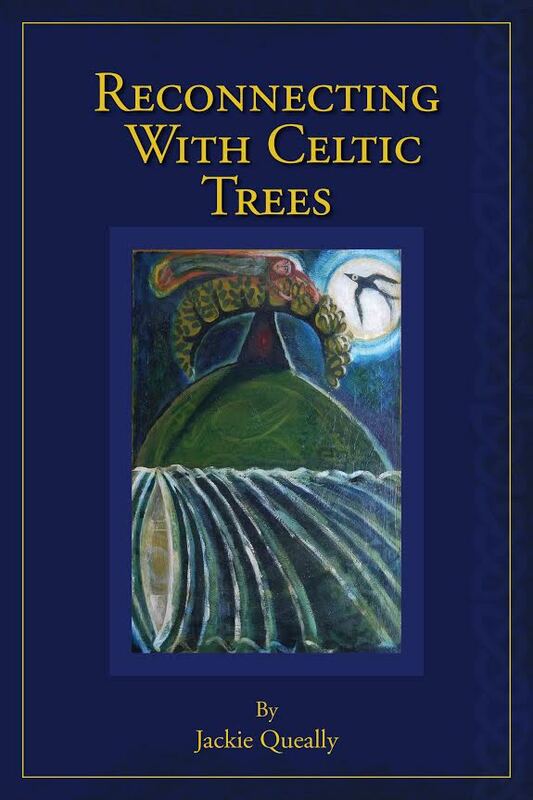 She offers “slow tours” such as her spiritual day tours in the magical Burren in the west of Ireland where she lives. The tours have led to many experiencing some form of spiritual awakening. Jackie is available for private retreats and group spiritual tours. 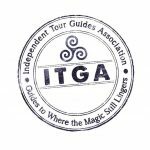 Private itinerary plans devised for Ireland and Scotland. 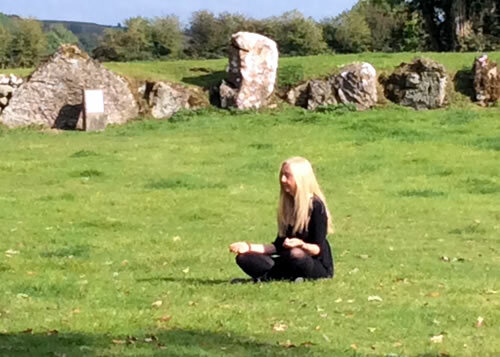 I cultivated an interest in sacred places and earth spirituality from an early age. The sacred presence of the Earth can be felt on each tour. My own books contain unique research and complement your tour or event. We really enjoyed the morning and felt it was very worthwhile. I learnt a lot. Thank you Jackie for holding the space so that we were included in all aspects of the day...it was all so appreciated. This was a unique tour - an earth energy tour! Dear Jackie, Thank you so much for the fantastic walk this morning! I am still so excited with whole things. I was recommending your guided walk to everyone who I was speaking to today! Nobody knew about the walk and the amazing places! I am very lucky. Yes, it was so rich and magical time. It was very grounding and rejuvenating!!! I’m reading your very interesting book “The Spiritual Purpose to Rosslyn”: it’s creating great value also for my profession (I’m a strategic consultant for companies as well as a Business and Executive Coach…..and I strongly believe in multiple realities, quantum physics concepts about terrestrial time, the power of the Hebrew symbols, the angelic realm and more….). Thanks for all your knowledge and insights sharing! It was one of my favourite experiences in the Scotland wing of my trip. You are a truly lovely person and so knowledgeable – all of the testimonials on your web site speak to this and I wanted to say that I agree wholeheartedly. There is something truly magical about that place (especially Roslin Glen). My trip to Scotland was wonderful, but the tour with you was magical. You are an important link to reconnecting and re-awakening people in the present day to their divine purpose in connection with the Rose Line. Thank you for the wonderful day filled with adventure, exploring and learning. I learned so much even before we left your home. I found it quite interesting how the pendulum reacted to the various fields of energy. Next trip I'll have to remember to bring my pendulum. I'm looking forward to connecting with you on my next trip to Ireland. So many amazing sights to see and experience in Ireland. Blessings to you and many thanks for making our trip to Ireland so very special. Jackie thank you for sharing so much information and knowledge. I learned so much and I really enjoyed myself. Thank you. Great day!